The Biloxi Model Homes are affordable prototype houses designed for the Architecture for Humanity Model Home Program. The program provides design services and financial assistance for families in East Biloxi whose houses were destroyed by Hurricane Katrina. 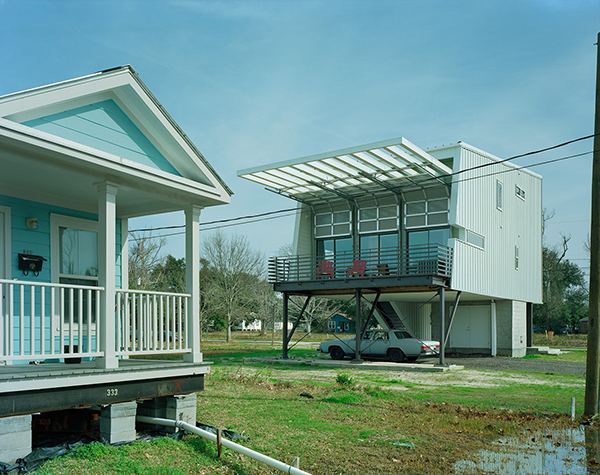 The proposition of raising a home up to 12' above the ground introduces several issues that challenge the traditional notion of the Gulf Coast streetscape and affiliated porch culture. Among these is the very concept of having a porch that is an extension of the interior space. In addition, the massing of a proportionally tall house speaks more of isolation than of the construction of meaningful social spaces through a series of houses enclosing the street. The Porchdog House addresses these challenges while complying with new environmental, structural, and FEMA regulations. The Porchdog House is raised above the ground and essentially open at the ground level, but incorporates a stoop and a street level porch. 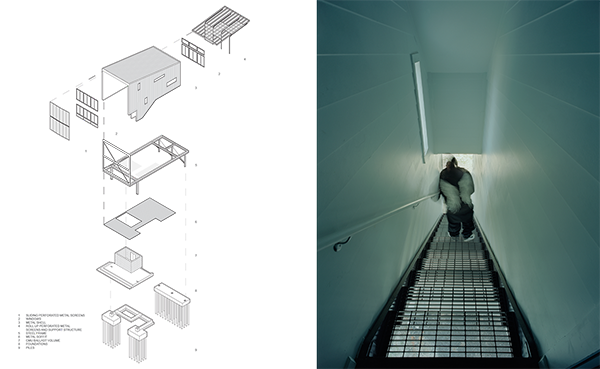 The only other ground-level elements are an entry stair, enclosed storage volume, a parking area and a stair descending from the rear deck. The concrete block storage volume is separated from the entry stair to facilitate a transparent reading of the ground plane and developed landscape elements in the rear yard. 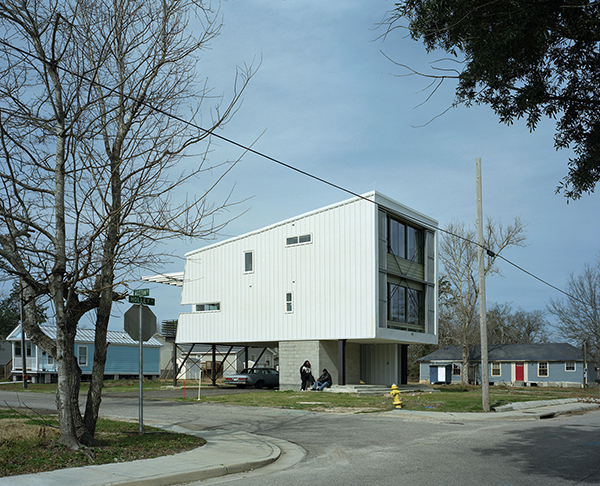 The Porchdog House is a refuge that still opens itself to the social structure of the city, addressing the challenges of resiliency while providing the requisite protection from a potential Category 4 storm surge event. 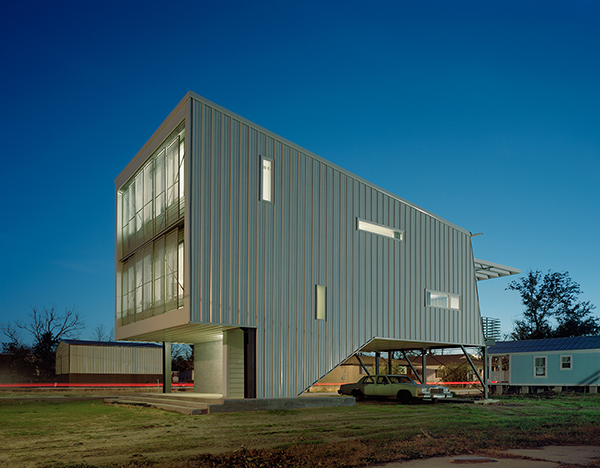 Primary materials include all steel construction with exterior metal cladding, and bamboo flooring at the interior. Operable metal louvered shutters provide light control and storm security for aluminum framed window walls at East and West elevations.